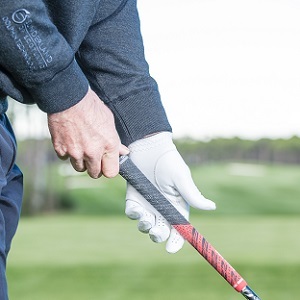 The grip is one of those key fundamentals that every golfer should work hard to get right. 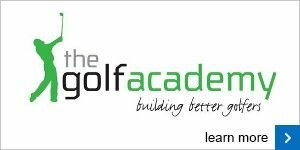 The way your hands sit on the club will have a huge affect not only on the direction of the clubface at impact but also on your swing path and power potential. 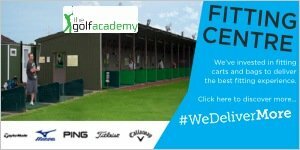 Quite simply, if it's not right, it's very hard to play consistent golf. Here's a quick guide to setting your hands on the club but for more advice, don't hesitate to come and see me. Start by placing your left hand on the club. Let your left hand hang naturally by your side, then bring it into the club. The grip should run from the base of your forefinger up to the fleshy part of your hand, just below your wrist. Now wrap your fingers around the club. At address you should be able to see between two and three knuckles on your left hand. 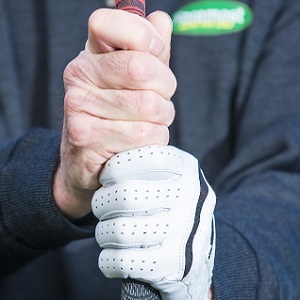 Now place your right hand on the club so that at address, the 'v' between your right forefinger and thumb is pointing at your right shoulder. There are three options for joining your hands to ensure they work together to help you hit consistent shots. Firstly, ideal if you have longer fingers, there is the overlapping grip (where both little fingers overlap). 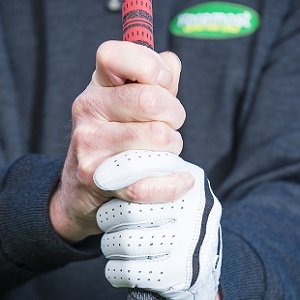 Secondly, the option that Tiger woods and Jack Nicklaus have chosen is the interlocking grip (pictured here). And finally, there is the baseball grip - suitable for those with smaller hands or alternatively a good option for those who struggle with arthritis.